To begin, you should know that I am quite fond of the Glengoyne 17 year old edition. Those of you who are familiar with Angelsportion.com, you already know this. I think that the 17 year old edition is underappreciated and exceptionally wonderful. Over the years it has become one of my favorites. With that being said, naturally I became open to trying others from the Glengoyne distillery, thinking to myself, “The 17 year old is a fine edition. I wonder what he was like when he was a kid.” So when I spied the 10 year old edition, I scooped it up to give it a try. Now to explain what I experienced, perhaps you might think of it this way. Have you ever traversed the hallways of an elementary school where the students in a particular class – let’s say the fourth grade – were given the assignment of retrieving photos of their parents when they were in fourth grade? The goal of this particular assignment is for each student to post the three photos together so that observers may behold the similarities between father, mother, and child, and of course the opportunity to marvel at the cuteness is provided as well. The very real problem that arises from this is that we know two of these three children in the photos as adults. We know them as distinguished and experienced, as being well beyond the awkwardness of the pre-braces overbite and the ears that stick out and the feathered hair that would make even Shaun Cassidy jealous. To see them as fourth graders is sometimes quite shocking, perhaps even scary. And so you smile and nod, affirming that they are indeed cute, but you also affirm that sometimes, certain things get better with age. 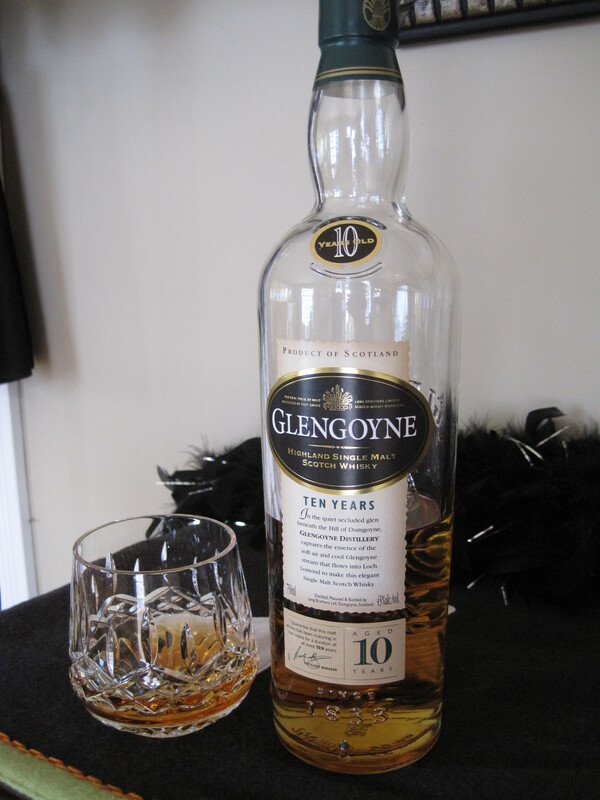 This is the Glengoyne 10 year old edition. He has a lot of potential, but nevertheless, is still in fourth grade and needs more time to mature to reach that potential. The nose reveals the potential, fruity and malty. The palate is similar in that it carries the same fruitiness, but it seemed awkwardly dry, lacking a more matured lusciousness. The finish was dry, too, leaving the mouth with a slight bitterness, maybe even the bite of something hygienic and still in the early stages of distillation. No, ma’am. He doesn’t. He’s acceptable. “The truth is incontrovertible, malice may attack it, ignorance may deride it, but in the end; there it is.” He’s a cute kid. But he is not ready for pictures today. In fact, he looked better in the “Captain Kangaroo” shirt he was wearing before. Forget “picture day.” Just sign up for the re-takes and take the extra time needed to get him ready.